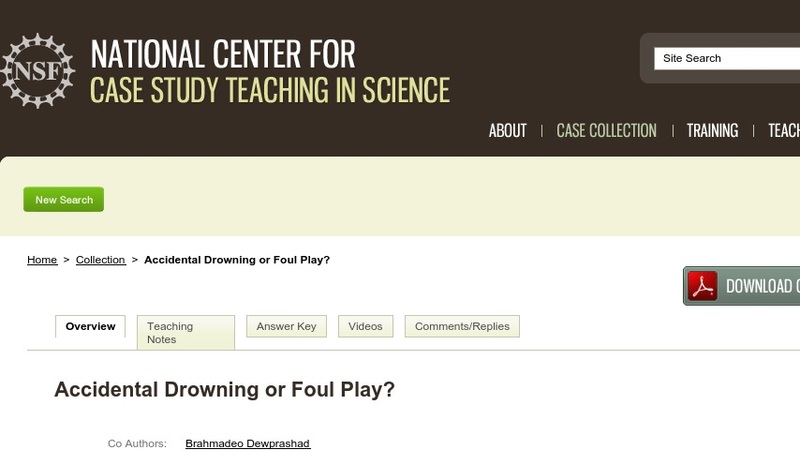 Accidental Drowning or Foul Play? This case was developed for use in the first semester of a sophomore organic chemistry laboratory to illustrate how a combination of techniques is usually required in the identification of chemical compounds. It involves a murder mystery with a forensic twist. Students are told that two bodies have recently been recovered from two different lakes. Due to a mix-up at the morgue, the coroner’s office is unable to determine which body came from which lake. The students’ task is to develop a methodology to solve this mystery as well as determine whether the deaths were the result of murder or mishap. The case could also be used in instrumental analysis courses or adapted for a non-majors course in the general education curriculum.